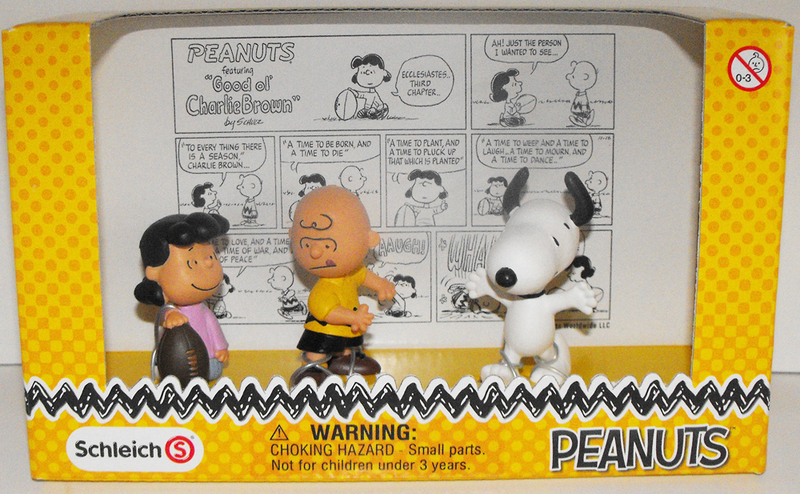 Set of 3 Peanuts Figurines in scenery box. Figures are made by Schleich. Each figure is about 2 inches tall and made of plastic. "Anyone who knows the Peanuts knows this scene: Charlie takes a run-up to kick the football and Lucy pulls it away at the last minute. Poor Charlie kicks into the air and falls on his seat. A great classic!"